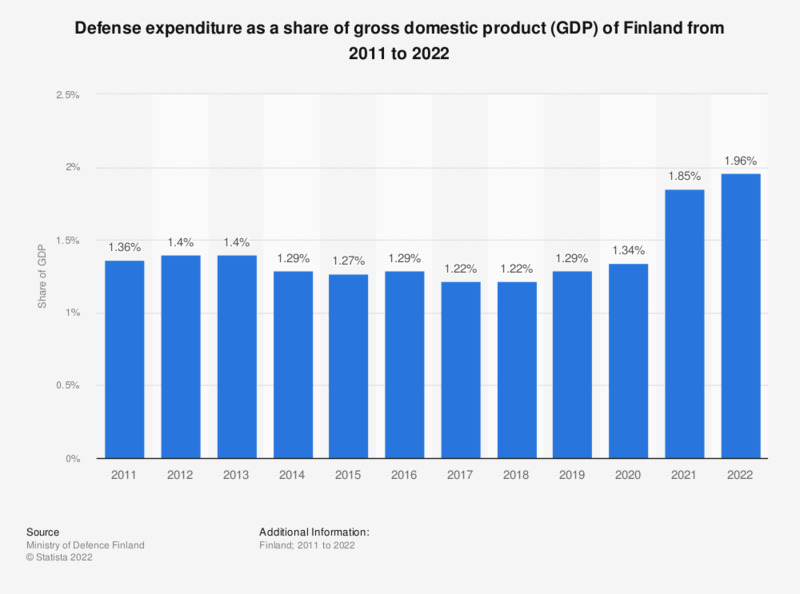 This statistic shows the total defense budget for Finland relative to GDP from 2010 to 2016. In 2016, the defense budget accounted for a share of 1.3 percent of the GDP in Finland. The share was 0.6 percent lower than in the previous year.